10 µF C-ET10-450 Diameter 0.51 in. 10 µF C-ET10-450 Item Length 0.83 in. 10 µF C-ET10-450 Packaging Dimensions 4 in. x 0.5 in. x 0.5 in. 10 µF C-ET10-450 Weight 0.011 lbs. 100 µF C-ET100-450 Diameter 0.86 in. 100 µF C-ET100-450 Item Length 1.63 in. 100 µF C-ET100-450 Packaging Dimensions 5 in. x 0.9 in. x 0.9 in. 100 µF C-ET100-450 Weight 0.054 lbs. 22 µF C-ET22-450 Diameter 0.63 in. 22 µF C-ET22-450 Item Length 1.03 in. 22 µF C-ET22-450 Packaging Dimensions 4.5 in. x 0.7 in. x 0.7 in. 22 µF C-ET22-450 Weight 0.016 lbs. 33 µF C-ET33-450 Diameter 0.63 in. 33 µF C-ET33-450 Item Length 1.23 in. 33 µF C-ET33-450 Packaging Dimensions 4.3 in. x 0.7 in. x 0.7 in. 33 µF C-ET33-450 Weight 0.02 lbs. 4.7 µF C-ET4D7-450 Diameter 0.39 in. 4.7 µF C-ET4D7-450 Item Length 0.79 in. 4.7 µF C-ET4D7-450 Packaging Dimensions 4 in. x 0.4 in. x 0.4 in. 4.7 µF C-ET4D7-450 Weight 0.007 lbs. 47 µF C-ET47-450 Diameter 0.7 in. 47 µF C-ET47-450 Item Length 1.24 in. 47 µF C-ET47-450 Packaging Dimensions 4.5 in. x 0.8 in. x 0.8 in. 47 µF C-ET47-450 Weight 0.029 lbs. I will be ordering again soon. Great service! These capacitors are top quality. 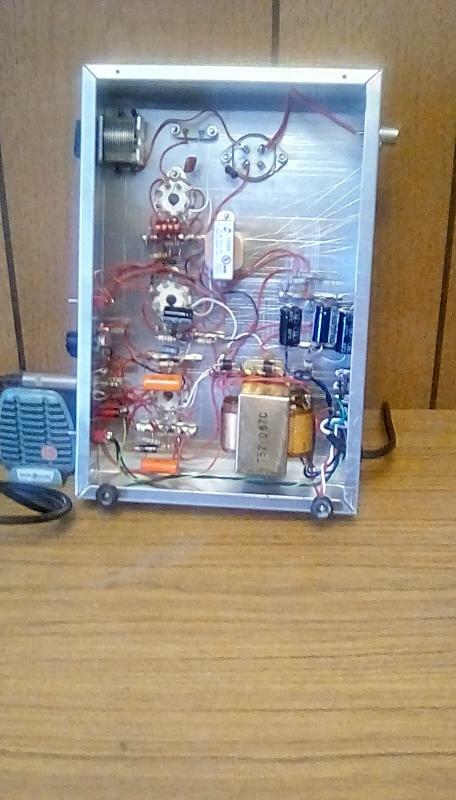 They work well in old radios and in new switching power supplies too. I ordered the 22uf value capacitor and when I tested them, they were all well within spec (which I have found is not always the case with some brands). They are priced well and work well and I can say that I will buy these again. Asked by Anonymous on December 30th, 2015. 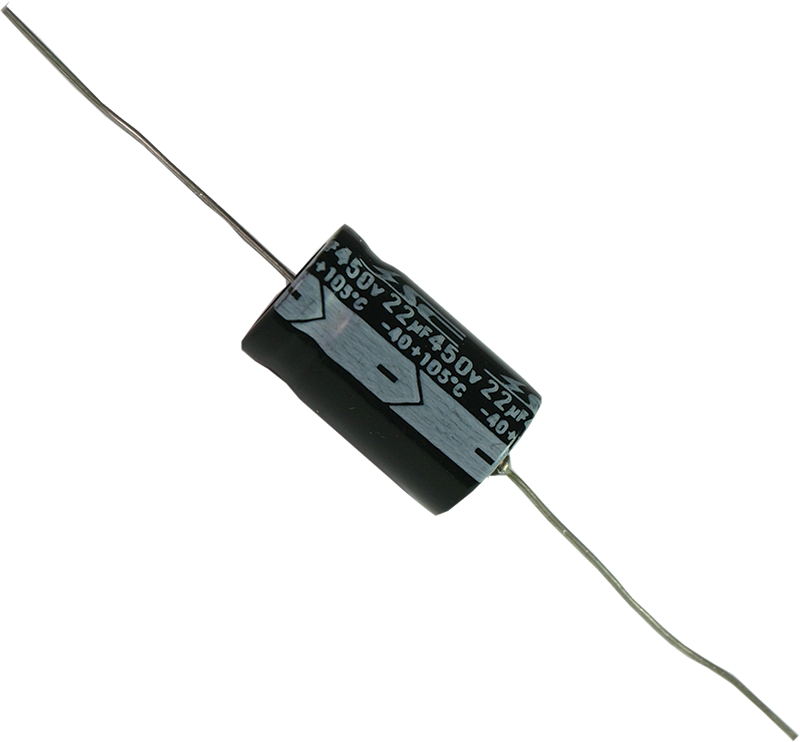 We wouldn't be able to comment on this capacitors use in your particular application but providing the value and voltage on the cap are higher than or the same as your requirement it should operate without issue. Asked by prefsnider on February 8th, 2017. We do not have a brand but they are made in Taiwan. Asked by kabruns on June 29th, 2017. 0 people subscribed to this question.